Russian President Vladimir Putin gives a soccer ball to U.S. President Donald Trump, left, during a press conference after their meeting at the Presidential Palace in Helsinki, Finland, Monday, July 16, 2018. The Russian may at least have projected strength, but the American delivered a dangerous muddle. Vladimir Putin and Donald Trump sure know how to play to their respective bases. But they’ve got a long way to go in the conduct of public diplomacy. 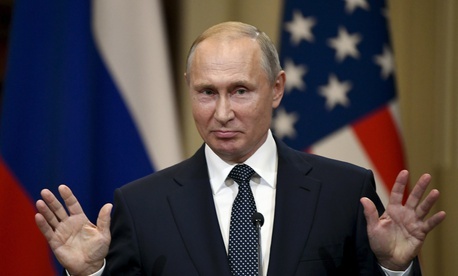 Coming out of the Helsinki summit, Putin was able to show his Russian audience that America respects the former Soviet Union and acknowledges its place in the world as an equal power, despite having lost the Cold War and being kicked out of the Group of Seven, or G7. 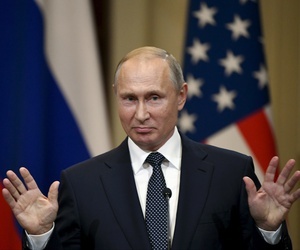 Russians like having a strong leader; Putin’s genuine popularity (as distinct from his almost-certainly manipulated election margins) stems from his ability to portray himself as strong in the face of a hostile world. So when Monday’s joint press conference came across as a lovefest, the only contest being which leader respected the other one more…well, if Putin were running for office anytime soon — he just won a 6-year extension — he’d be re-elected just on the basis of the last 24 hours. Truth be told, Russia got even more than it bargained for out of Trump’s trip. Russian diplomats are long accustomed to making the case against NATO and the EU, those Western clubs that Putin views as threats to be undermined, but the U.S. president took on that job and did it well. Donald Trump supporters may also be happy. They saw the President they know and love in action, standing up to U.S. allies whom they have come to think are robbing Americans of their rightful wages. 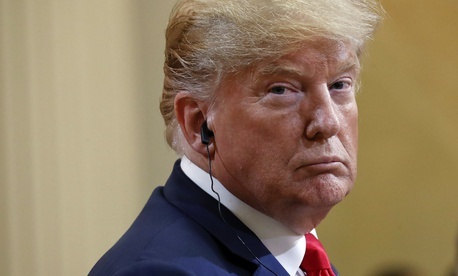 In his public and private treatment of UK Prime Minister Theresa May and her German counterpart Angela Merkel, Trump managed to stoke the anti-feminist emotions of some in the hard right. And in Helsinki, the presidents shared their disdain for the press, finding common ground in hating journalists. Related: What Do You Do Now, US National Security Leaders? Will any of this U.S.-Russia business matter? Recent polls suggest that hardline Trump supporters are softening on Russia, even warming to the notion that maybe the Russians didn’t meddle in our elections. In Helsinki, Trump let Putin deliver a lecture to Americans on “democracy.” That’s a first. The notion that these two leaders are going to work together to investigate Russian influence in our elections would be comedic, if not for the seriousness of the issue. It will be interesting to watch Congressional reaction. The goal of good public diplomacy is to inform citizens overseas about your country’s interests, values, and objectives. On that score, Putin may have convinced the world to take him seriously. He certainly seemed in control. Trump may have convinced Russians and others that he is on Putin’s side, but the rest of the U.S. government likely doesn’t agree with him. That makes the message both muddled and dangerous. Moreover, policy and public diplomacy need to go hand-in-hand. These two leaders seem more interested in the public part and left little in the way of a U.S.-Russia policy. 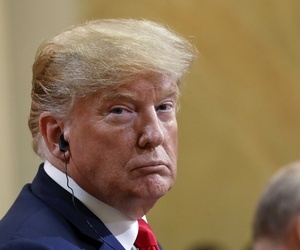 As pundits, scholars and politicians dissect this summit and wonder about its consequences, one thing is clear: Putin and Trump danced in Finland to the same tune and it sounded discordant to everyone except their own fans.